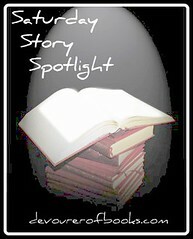 Welcome to Saturday Story Spotlight, where I discuss books my husband and I are reading with our son, Daniel. These are books that he, we, or all of us particularly enjoy. “The Busy Christmas Stable” is a fun, interactive version of the Christmas story for young toddlers. It is a nice, sturdy board book sized more like a traditional children’s hardcover or paperback book. It picks up the story with Mary and Joseph arriving in Bethlehem and, in 4 page spreads, concludes with the wise men presenting the baby Jesus with his gifts. Clearly, this is a highly abbreviated form of the nativity story, but it is just about the right length for my not-quite-18 month old. Daniel also particularly likes the interactive aspect of “The Busy Christmas Stable.” The tabs shown at the bottom of the book move back and forth to cause different characters to appear on different pages. This does make “The Busy Christmas Stable” a book that needs supervision, because the characters at times need cajoling to slip smoothly back off-stage. Our Joseph already has a tendency to catch at the edge of the scene.